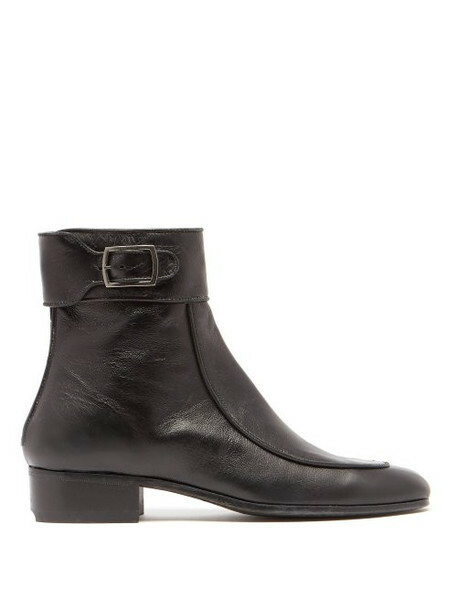 Saint Laurent - Saint Laurent's black Miles boots are distinguished by angular square toes and a white buckle-fastening strap that sits across the high top edge. They're made in Italy with a back zip fastening and a small stacked heel that promises day-long comfort, then finished with a coordinating leather interior. Wear them with casual weekend looks for a hint of 1990s nostalgia.